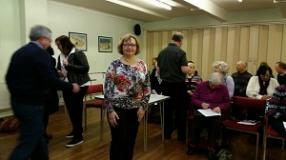 Della's daughter, Jackie, kindly took some photos for us to have here on the website. SDRS members celebrated Sukkot at the Shul's Erev Sukkot service which was lead by lay reader, Mike Royston. in the colourful and fragrant succah. What a great success was our first Sunday afternoon Cream Tea!!! Everyone enjoyed a cream tea with scones, jam, cream, cakes and tea. Music played in the background and some people even got up and danced. Della Carr said how pleased she was at the great success of the afternoon and that she hoped there would be another one next November. 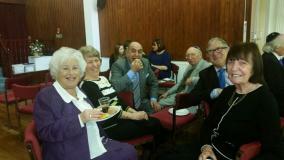 Southend and District Reform Synagogue extended a warm welcome to visitors at its Open Weekend from 2 - 4 June. 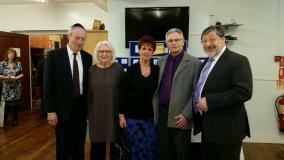 A varied programme of events included explanatory, family-friendly Shabbat services, Hebrew for adults, and the dedication of a new Sefer Torah. 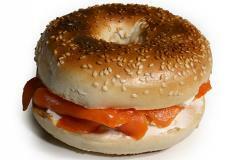 Mouthwatering refreshments were provided by the Synagogue's Guild. 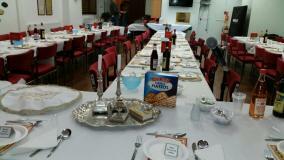 The belated Seder Night, held on the 5th Night, 14th April, was attended by approximately 65 people. Led by our wonderful Rabbi, Warren Elf, we sang the songs, asked the questions and drank the wine and ate the food. As usual it was a very enjoyable evening. Special thanks go to Diana and Sue for organising the whole event and to all those who helped to prepare and run the Seder. 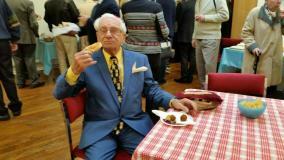 During the Shabbat service on 4th February, the congregation celebrated Bernard Lazarus' 90th Birthday. Also attending were his wife Leila, her sister and their two children and spouses. Plus lots of friends who also came along to celebrate. 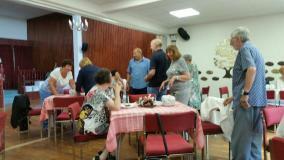 Everyone enjoyed the wonderful kiddush, expertly prepared as usual by Diana and her team of helpers. On 27th January, members of SDRS joined others from the local Jewish community who attended the planting of a tree in the gardens of Southchurch Hall, to commemorate Holocaust Memorial Day. 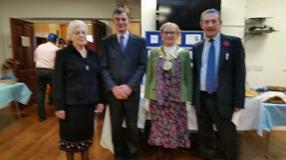 Our rabbi, Warren Elf and Southend Mayor, Judith McMahon, who were also present, spoke about the significance of Holocaust Memorial Day and the tree which is dedicated to the memory of all the victims of the Holocaust. 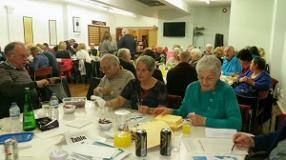 On the evening of Saturday, 3rd December there was an evening of fun and entertainment. There was a play, lots of singers and various acts that made everyone laugh and all this was followed by some light refreshments. Our Master of Ceremonies was Maurice Caplan and he was aided and abetted by Rabbi Warren Elf, David Perry, Gerald Calmus and Rosemary Apple. The play, entitled 'The Landlord Cometh' was performed by The First Stage Drama Group. 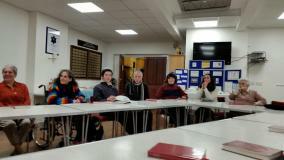 On Friday evening, Erev Shabbat, 25th November, members of the congregation came together to have a Chavurah Supper after the service, which was led by Student Rabbi Elliott Karstadt. It was a very meaningful service and the food that had been brought in by members of the congregation was enjoyed by all. 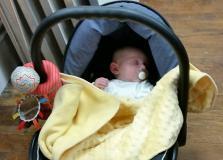 Rabbi Elf led the Erev Shabbat service and conducted a baby blessing for Eliza Miller. A wonderful service with parents, grandparents and great grandparents plus many other relations, friends and members of the Community attending. After the service everyone enjoyed some delicious pastries and a welcome cup of tea. 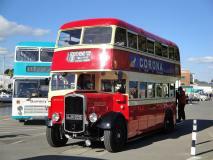 On Sunday, 17th July, SDRS celebrated our 70th Anniversary in style. 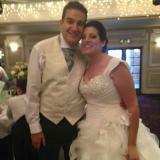 Our Joint Chairmen, Lewis Miller and Della Carr welcomed everyone and explained how the afternoon would go. The audience were treated to a sumptuous lunch, followed by entertainment from the Choral Society, who sang medleys from The Phantom of the Opera, and West Side Story to name a couple. Then everyone enjoyed a recital of classical and light music by Roni Rothwell on the cello and Jane Compton on the keyboard. Time for tea and delicious cakes and biscuits. 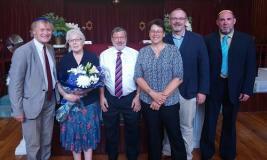 On Sunday, 12th June, Rabbi Elf led the congregation for this year's Shavuot service. 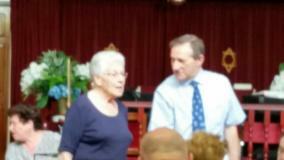 Everyone joined in with the singing and several membes of the congregation took part in telling the story of Ruth. 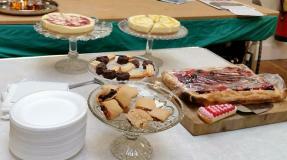 After the service, it was time to enjoy the traditional foods for Shavuot - cheesecake and forest fruits flan. 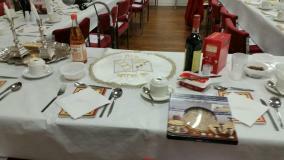 As usual, SDRS had a wonderful second Seder night, led by Rabbi Elf and enjoyed by all 66 people who attended. We drank the wine, tasted the Charoseth, Bitter Herbs, Parsley, Matzo and eggs and then had a lovely meal after that. Included in the service were the usual songs whick were all sung with great gusto. 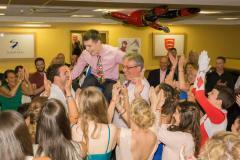 Many thanks to all those that helped to make the evening memorable. More photos from the first JGSGB Meeting that was held at SDRS on 21st February, 2016. Below please read the letter of thanks we received from Jane Lang from Chalkwell Infant School after their recent visit to SDRS. Family the baby blessing of daughter Bella. At the same time, various members of the Shul came together to celebrate milestone birthdays with ages ranging from 70 to 95. Annie Lewis was the wonderful lady who has, this year, celebrated her 95th birthday. It was great to have a congregation of regular members and families who came for the Baby Blessing and Birthday Celebrations, all of whom enjoyed the wonderful Kiddush laid on by Diana and her band of hard working assistants. On Sunday, 4th October, Rabbi Elf led the festivities as we celebrated Shemini Atzeret and the start of Simchat Torah. 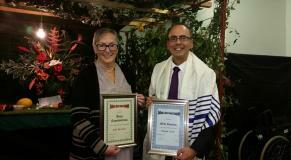 This year, Mike Royston was honoured with the role of Kallat ha-Torah (bridegroom of the Torah) and Anna Constantinou was honoured as Kallat Bereshit (bride of Genesis). Robert Watson is a young man with severe learning difficulties and profound deafness. He has attended religion school at SDRS since the age of 5. We decided that it was important to work towards a Bar Mitzvah for Robert but that he would not be ready for it, emotionally of practically when he was 13, so we delayed it a year. 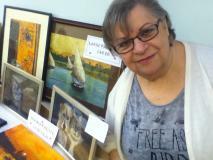 A couple of years ago, we had a Chanucah Fair. 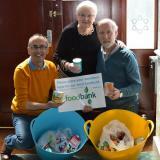 SDRS collecting food donations for the local Foodbank that provides food for people in crisis.